Small is beautiful. 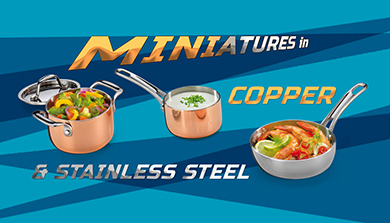 The Andy Mannhart Miniatures were invented to make cooking and presenting a creative art. 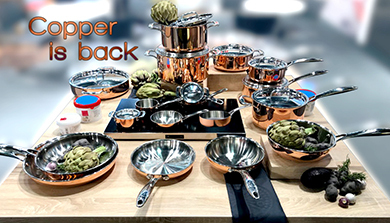 Available in copper and stainless steel, they are perfect to enrich and design the food on the plate with side dishes. Alternatively also usable for appetizers. Bon Appetit. Here we are: AM will prepare a generic Working List in a matrix-format. You can insert the quantities for each product by outlet. The total by item will automatically be summed up under “total quantity”. After sending back the Working List with the required quantities to our customer service team a tailored quotation will be generated within hours. The story board was created by the AM Marketing team and refined with Cyrill, our cameraman. 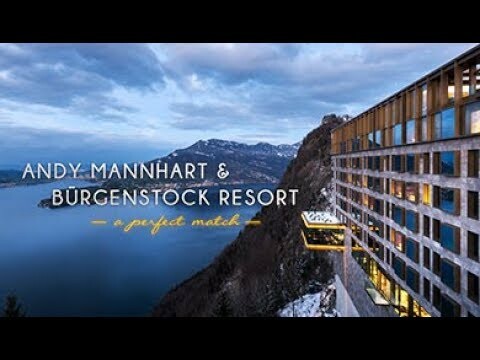 We have spent a great day on Tuesday, October 30th 2018 filming @ the Bürgenstock Resort. Chef Mike Wehrle and his team were fantastic actors and performed very well at the various sets in the resort. The day couldn’t have ended better….not just because of the clear weather but also because the film crew enjoyed, after hours of hard work, a juicy steak at the OAK GRILL. Thank you everybody for your contribution to make this clip a great one! 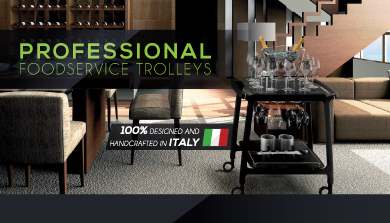 VENTA’s high-quality buffet furniture with stylish cocktail- & buffet tables. They can be folded up or stacked together to save space and assembled / disassembled in just a few easy steps. All buffet furniture is mobile. 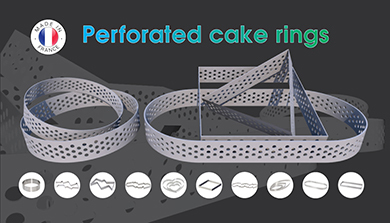 A perfect match for a flexible but yet very design wrapped hotel, event or catering operation. 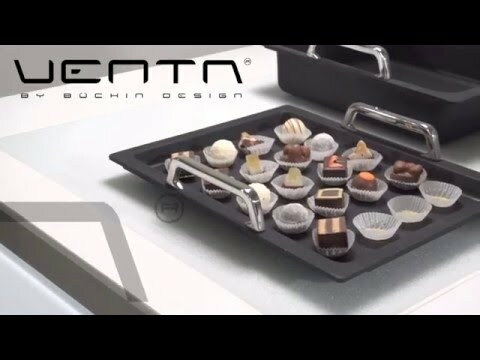 VENTA: a Büchin Design GmbH Company with decades of experience in creating a unique recognizable design language. We are taking customers back to the crisp with SpeeDelight, a unique cooking solution for a range of food outlets from quick service restaurants to pubs and bars, coffee shops and retail operations. The Kids Booster is for children from 12 months . It has a 3-point safety harness, as well as straps to fasten the booster seat to the chair. Meals with small children can be stressful for all involved, especially when they feel uncomfortable because they are still too small for a grown-up chair. With the Andy Mannhart’s Kids Booster, families can enjoy their meals – everywhere. You can take the booster seat on journeys, to restaurants and friends. Thanks to its “plug-and-sit“ construction, the booster is ready for use within seconds: a unique strap system has been developed with a Velcro-type fastening – this means that the booster seats can be installed quickly, easily and safely. After use, simply fasten the straps on the underside of the booster so that they do not get lost. The boosters are stackable and compact for storage purposes. The booster seats are made from the fascinating foam. They are soft and pliable, but nevertheless stable and very robust. The sealed surface enables you to clean them with a soft, damp cloth and a mild soap solution. You can wash the 3-point safety harness and the chair straps in the washing machine at 30°C. 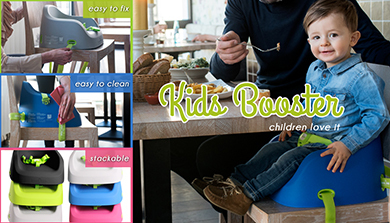 The Toddler and Junior Booster have been developed for daily use by families, restaurants and hotels. Best comfort and user-friendliness combined with premium quality. Safety, user-friendliness, easy cleaning, space-saving storage and an attractive design were the main focus. 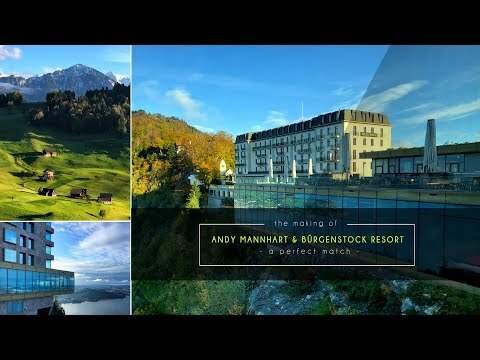 Andy Mannhart “Kids Booster” seats are made in Germany. 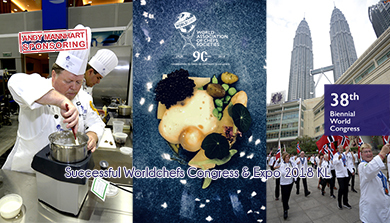 Andy Mannhart Asia has just accomplished a successful FHA (Food and Hotel Asia) 2018. 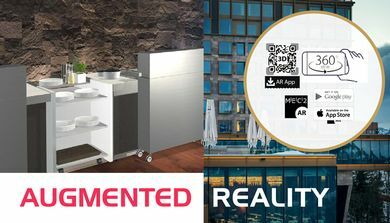 Besides a great stand set up with a modern black/white look, featuring the latest trends for popup restaurants while applying augmented reality…the AM Marketing Crew is very proud to use a stand-concept which is 100% reusable. The whole infrastructure for up to 90m2 stand surface is packed in 5 boxes which fit into a 20’ container. 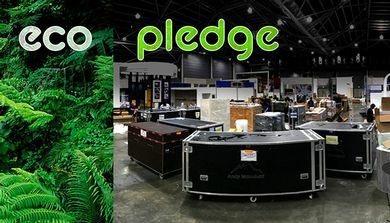 AM “stand on tour” is a unique idea since the majority of exhibitors are working with single use stands, which will be destroyed as soon as the show ends. Within the OS&E world « Pastry » is the creative, colourful and trendy segment. More art than just a product. 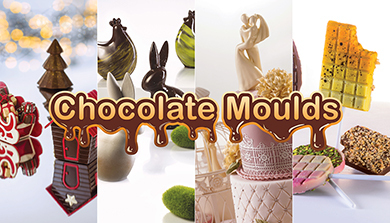 Therefore, we are very happy to feature the latest development which was created together with the Ecole du Grande Chocolat Valrhona. Ideal for tarts, tartlets or desserts. Perfect for cooking shortbread, puff or shortcrust pastry. Please see our factsheet with more details. Great products make a difference! Augmented Reality (AR) is the application of technology to superimpose information on digitally rendered images into real world environments to give a sense of virtual reality or create an illusion. Which means configuration of livecookintable buffets and live cooking stations in the real customer environment of the respective guest room. And this in original size. Designed for tablet computers. The exterior has a timeless, modern design – the interior bristles with modern technology. Craftsmanship meets high tech, protected with 5 patents. 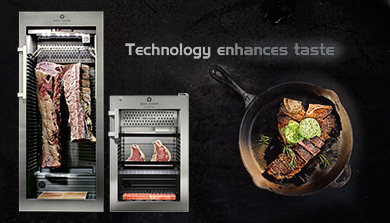 The Dry Ager (100% made in Germany) is a perfect example how modern technologies help Gastro Professionals to succeed with astonishing results for their guests. The idea of fondue likely calls to mind the style that originated during the 1800s in the Swiss Alps as a way to use hardened cheese and stale bread during the winter months. Deriving from the French verb fondre, meaning "to melt," fondue was a classic peasant dish made fashionable across the country after World War I by the Swiss Cheese Union. Andy Mannhart has the matching “hardware”. Please check out our latest range of trendy and classical fondue pots.